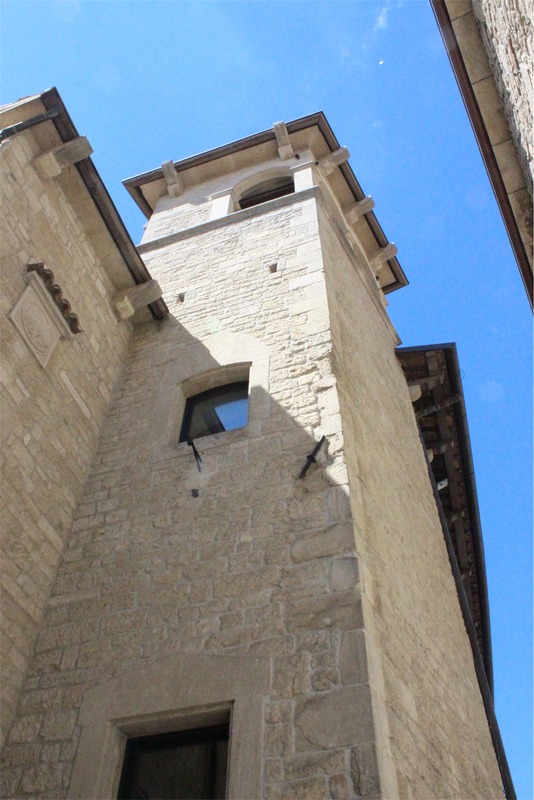 Today we left beautiful Venice and made our way to San Marino, a destination to be honest we hadn’t done a lot of research about. This lack of local knowledge contributed to the treasure hunt/confusion we experienced getting into the city. 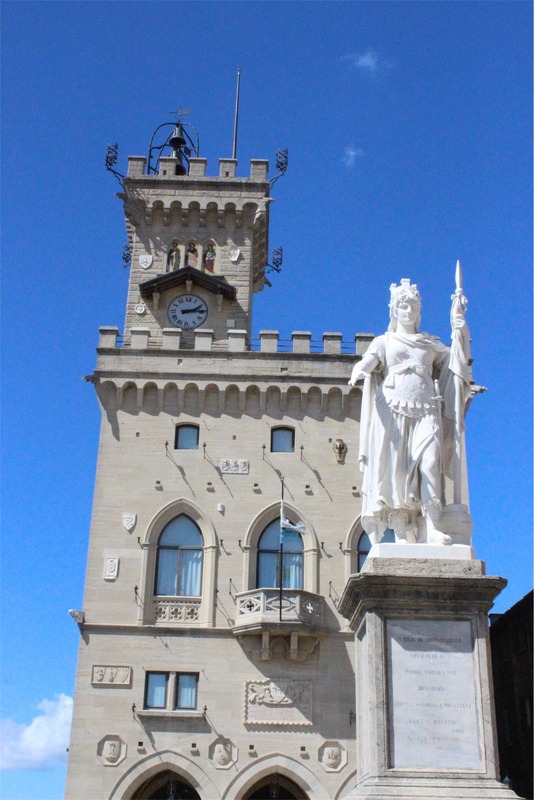 Firstly we didn’t realise that it’s actually its own country, known as the Republic of San Marino. 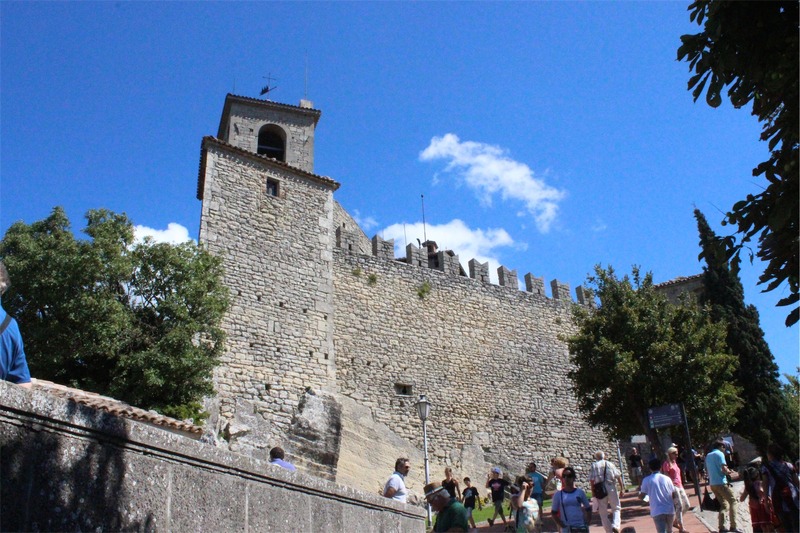 Secondly it’s a walled city and very small, so small that the police manage a traffic overflow system as it gets quite busy. As we happily drove along with only 5 minutes to our destination flashing on the GPS we were turned away from the first roundabout, well just a diversion we thought, until at the second roundabout we were given a flyer (all in Italian) by the police lady and were waved on to ‘park car’… Ok… Well going with the flow and seeing as how everyone else seemed pretty calm we parked the car and then followed the crowd. 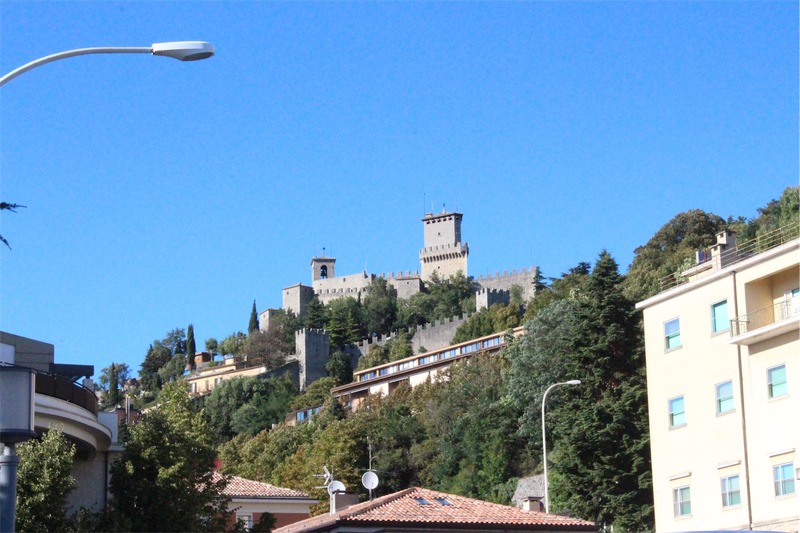 Turns out we had to pay 2 Euro each to get on the bus that would take us into San Marino and that was the fee for parking our car all day as well – excellent! Only problem being, our hotel was in the city. We got into the city and found our hotel very quickly, as it was only 200m from the bus stop. After chatting with the hotel staff we were told to leave our car where it was, enjoy the day and after everyone went home later in the evening the top car park would be free. It was all pretty easy in hindsight, but what a funny start to our day! 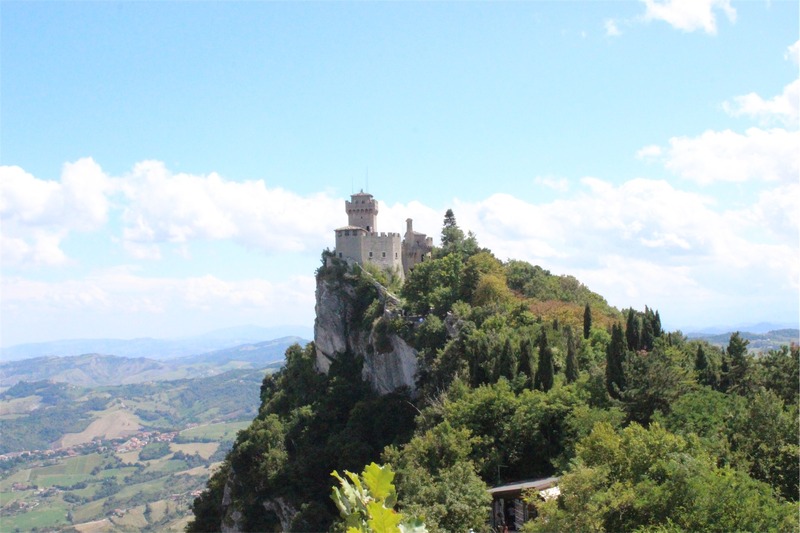 The old city of San Marino is quite beautiful, perched on the top of the mountain Monte Titano it looks like a cross between a medieval town and a fairytale castle. 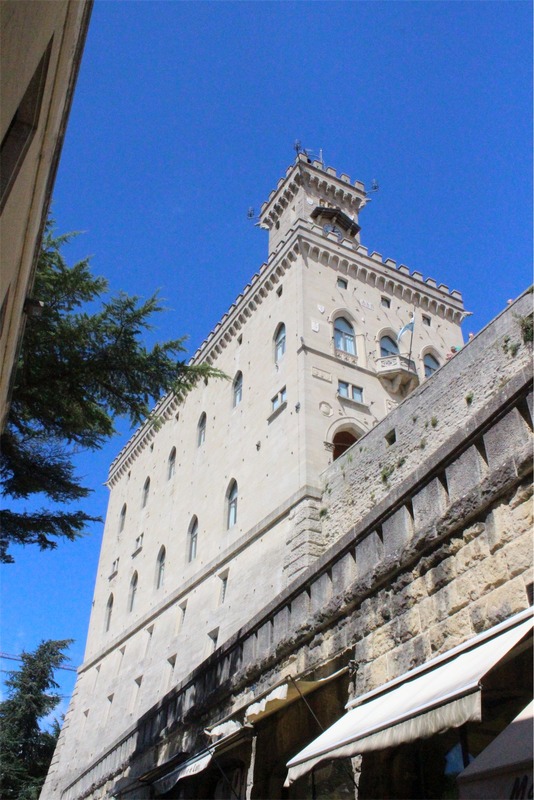 The Palazzo Pubblico (The People’s Palace) was a huge space and the buildings were equally massive. It’s a funny little city, a cross between old tradition and a modern tourist driven market place. 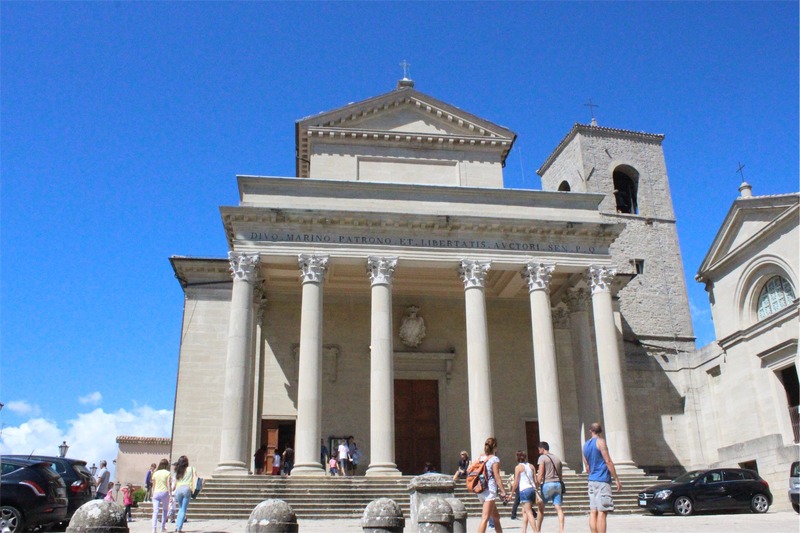 The Basilica Di San Marino was modest from the outside and it’s simplistic interior was impressive and unique. 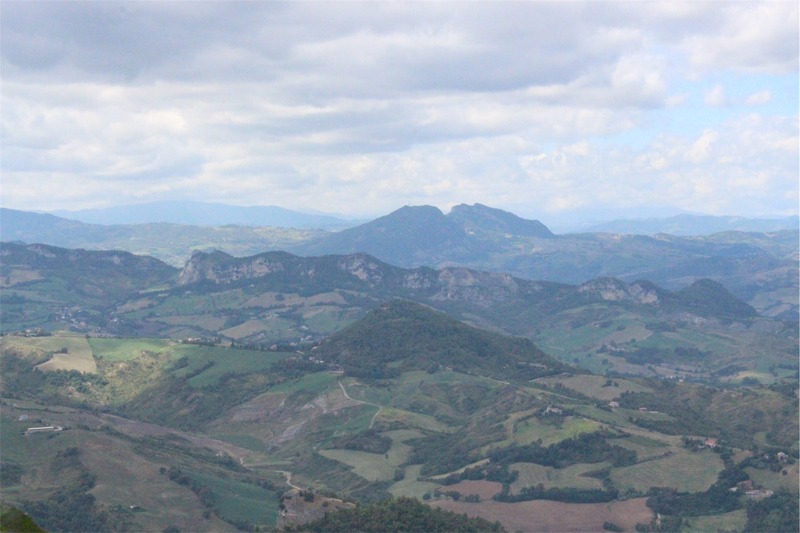 The view from the top of the castle was breathtaking and you could see the mountains and landscape for miles and miles. 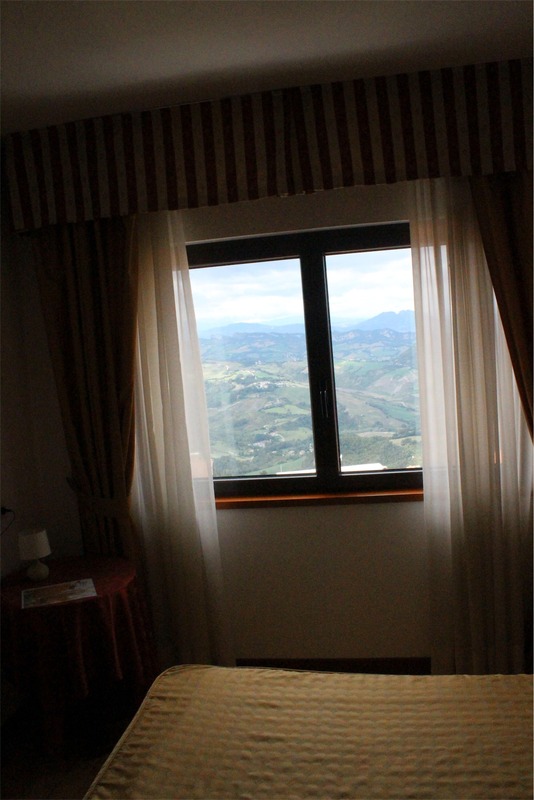 Our hotel room whilst basic had million dollar views over the mountains and the town below. As the sun went down the view only became more impressive with the mountains providing a perfect backdrop to the town lights.